New York State has come one step closer to joining other states seeking to require manufacturers to label foods that contain genetically modified organisms (GMOs). A-3525, a bill sponsored by New York Assemblywoman Linda Rosenthal (D), was first introduced in January 2013 and was approved by the state Assembly’s Committee on Consumer Affairs and Protection yesterday. And although A-3525 and its companion bill, S-3835, have many hurdles to clear, other states have moved far more quickly in seeking to implement their own GMO labeling laws. For example, it is anticipated that Vermont Governor Peter Shumlin will sign a bill into law today, making Vermont the first state to require food manufacturers to label products containing GMOs. We anticipate that the law, which will not go into effect for another two years, will face significant legal opposition. 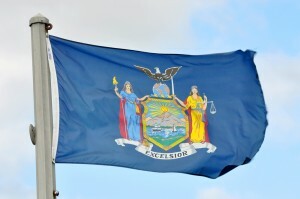 Other states, such as Connecticut and Maine, have already passed their own labeling laws, however, they will not become effective until after a certain number of states pass similar laws. These initiatives occur in the backdrop of a sea of class action lawsuits brought by consumers claiming that their “natural” products are mislabeled because they contain GMOs. To this point, the FDA has declined to define the term “natural” and whether a product containing GMOs may be labeled as such. Opponents of state mandated food labeling requirements, such as the Coalition for Safe and Affordable Food, have consistently pointed to the safety and benefits of GMOs and argued for the need for a federal solution rather than a “50-state patchwork of GMO labeling laws [that] would mislead consumers, raise the price of groceries for American families and do nothing to ensure food safety.”http://coalitionforsafeaffordablefood.org/support-federal-solution. Cozen O’Connor represents food producers in claims involving product labeling.